What's working and not working in your congregation? You'll explore the factors that inspired and motivated changes to reverse decline as other congregations wrestled with the same issues you're facing: ministry to current members, ministry to the unchurched, worship, changing neighborhoods, and more. 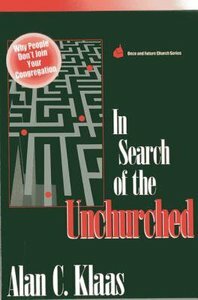 About "In Search of the Unchurched"